chain (including Exploration & Production, Processing, Transmission, Distribution and Marketing) and its related services. In a rapidly changing scenario, we are spearheading the move to a new era of clean fuel industrialization by creating a quadrilateral of green energy corridors connecting major consumption centres in India with major gas fields, LNG terminals and other cross border gas sourcing points while also expanding its business overseas, thus becoming a formidable player in the international market. 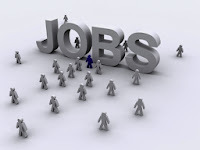 Candidates with experience only can apply for the posts at the official website of GAIL at gailonline.com. A total of 160 vacancies have been announced by the Maharatna PSU and India's flagship Natural Gas Company for the work-centres/ units located in various States across the country. 'All essential qualification(s) must be from UGC recognized Indian University/ UGC recognized Indian Deemed University or AICTE approved courses from Autonomous Indian Institutions/concerned statutory council (wherever applicable). Diploma in Engineering qualifications (if applicable) should be recognized by respective State Board of Technical Education,' clarifies the recruiting body regarding the eligibility criteria. Candidates will be selected on the basis of written test and/ or trade test in the respective discipline. The test will be held at Deli NCR, Bhopal, Mumbai, Kolkata and Hyderabad.